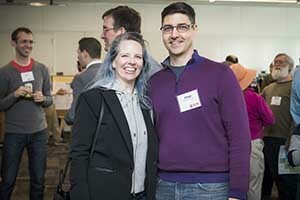 More than 200 faculty, staff, alumni, and friends gathered on March 16 to celebrate the 50th anniversary of WPI’s Computer Science (CS) department––with some alumni of the program traveling from as far away as Singapore for the festivities. According to department head Craig Wills, WPI’s first computer science master’s degree was offered in 1969, its first bachelor's degree in 1970. To commemorate a half-century of computer science at WPI, a celebration was held in the Foisie Innovation Studio, along with historical displays and student posters. 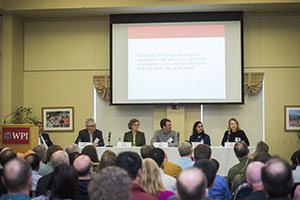 The event also included a panel discussion on the past, present, and future of computer science at WPI featuring President Laurie Leshin, Dean of Arts and Sciences Jean King, and alumni panelists representing each decade of the CS program. Wills, who organized the event in partnership with the Office of Alumni Relations, said it was a reflection of an accumulation of five decades of achievement for a department that continues to remain at the forefront of research and student learning, and is an interdisciplinary force on campus. Wills and others spoke fondly about Allan E. Johannesen, known as AEJ, who arrived at WPI in 1964 when the “academic” IBM 1620 computer was run by the math department and was housed in the basement of Stratton Hall. Heinen added that CS machines were “beasts” back then––dozens of feet long with poor memory that produced a lot of heat. But he said he was “super lucky” in 1970 to have signed up to graduate in the CS department. He described his Major Qualifying Project (MQP) as “very cool”—he and his project partner built a virtual reality system that allowed users to create and manipulate the virtual world while they were immersed in it. Panelist Beth Phalen ’85, who also serves on WPI’s Advisory Board for the CS Department, recalled that when she was a freshman the CS department was still using punch cards. Fellow panelist and CS advisory board member Robert Mason ’94 volunteers in the Tech Advisors Network mentoring program for entrepreneurs and start-ups. For him, the heart of CS when he was in the program was the CCC (Campus Computer Center) in Fuller Labs. 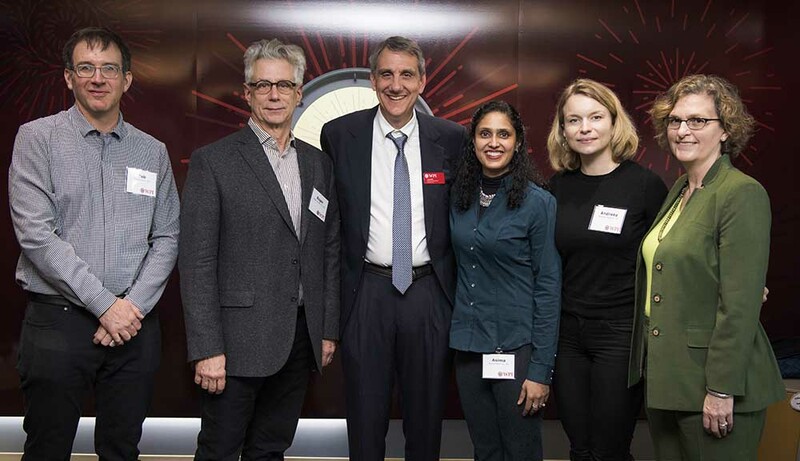 Asima Silva’01, ’04 (MS CS), who also participated on the panel, recalled that during her time at WPI the CS Department went from floppy discs to laptops. She was also a single mother of three at the time––and one of only a few women in each of her classes––and credits her professors with helping her succeed. Panelist Andreea Bodnari ’10 said she is living proof of the diversity on the WPI campus now. She came to WPI from Romania in 2007 and it was her first time traveling outside of Europe.